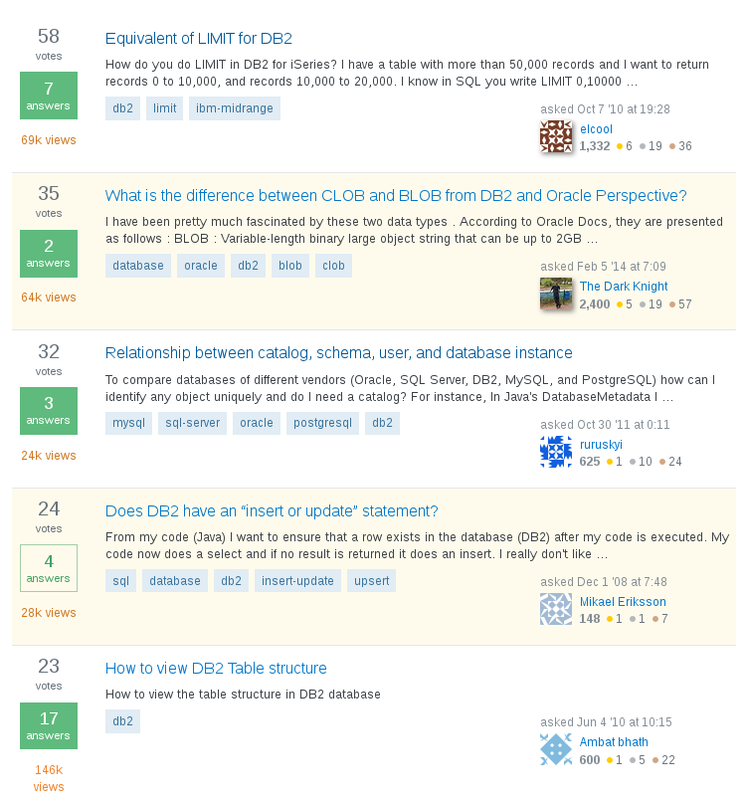 When I want to learn more about the ins and outs of DB2 or dashDB or when I have some spare time and want some fun sharing my knowledge I visit Stack Overflow. Stack Overflow (SO) is at the core of a network of question & answer websites. Here is a quick introduction with hopefully some deeper discussion in a future blog post. Once you are logged into Stack Overflow it is possible to combine several tags (such as "db2" or "dashDB") in a single search. It also is possible to search for a specific keyword related to a tag. Putting "[db2] XML" into the search box results in all questions and answers that were labeled (tagged) "db2" and contain the word "XML". Want to know more about question related to dashDB and R? Try "[dashdb][r]". 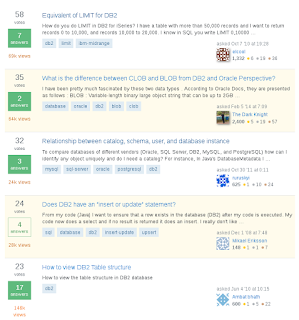 Questions related to programming belong to Stack Overflow, topics around operating DB2 should be in the DBA channel for Stack Exchange. I am sure there will be more questions coming up once DB2 V11 for Linux, UNIX, and Windows is released - hopefully next week.